Today there is a modern day Gold Rush happening and it’s time for your business to take part. Do you realize the power of the Google search engine? Let’s put it into perspective. The largest deal in TV history was recently signed with the NFL. It’s worth almost $60 Billion dollars over the next 8 years. In reality, this is based on advertising revenue for the TV station. Google on the other hand will do almost double that in advertising revenue in the next year alone! Do you realize what capturing just a tiny percentage of that will do for your business? 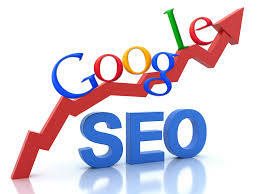 The most powerful marketing tool in the world’s history by far for small business is Google search. And it’s happening now! It’s literally a modern day Gold Rush and people are getting rich faster than ever before. That’s why there are thousands of so called SEO firms popping up all over the place, all asking for your business, but most leaving their clients with broken promises and disappointing results. Did you know that 68% of business owners are disappointed with their SEO firms results? That’s why none of them guarantee their results. At DreamSource, we have sorted through all the bad ones ( and tons of them), so you don’t have to. After exhausting hours upon hours of research and trial and error, we have partnered with only the absolute best of the best. With over 20,000 #1 Google rankings, our partners know exactly what it takes to get there. We are so confident in our results that we will even back our results in writing when no one else will. Call us now to see a real live example. Don’t leave your business to chance. Invest in a formula that has been proven over and over again. If we don’t perform, we don’t get paid.